The iPlan Project is a Marie Curie IAPP from FP7-PEOPLE-2007-3-1-IAPP. Research and develop fast and accurate radio propagation models that can be used for indoor radio network planning and optimisation. Investigate various issues arising from the use of femtocells, for example, the study of interference between femtocells, between femto and outdoor macrocells. 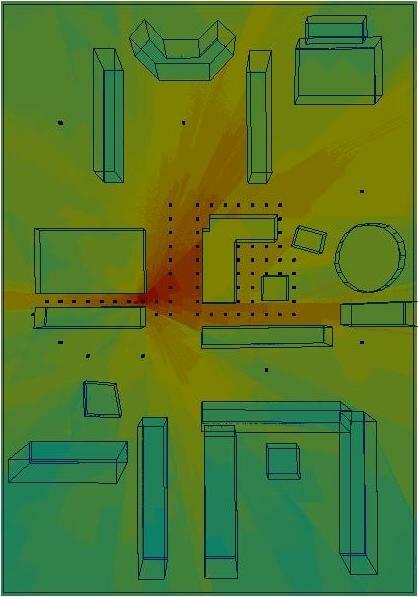 Investigate how to effectively reduce power usage and radio wave pollutions in indoor environment. Develop an automatic indoor radio network planning and optimisation tool suite that will fill the gap in the indoor RAN P&O market. Facilitate knowledge integration and transfer between project partners, to enable cross-fertilisation between radio propagation modelling, wireless communications, operations research, computing, and software engineering. Strengthen existing and create new strategic long-term collaborations between the participants and reduce the fragmentation in EU research in this vital area.